A breakthrough system for imaging stress in aircraft structures has been licensed to Victorian company LRM Technologies. The Microbolometer Thermoelastic Evaluation (MiTE) technology can be used on high-performance aircraft that are exposed severe stresses, which need to be understood and controlled to reduce high ongoing maintenance costs and avoid catastrophic failure. The system uses small, low-cost infrared cameras to capture high-resolution close-up images of structural stress at critical hot spots. Minister for Defence Industry Christopher Pyne said, "The company will be responsible for worldwide marketing of the innovative thermoelastic stress analysis system developed by the Defence Science and Technology Group for monitoring the structural health of airframes. 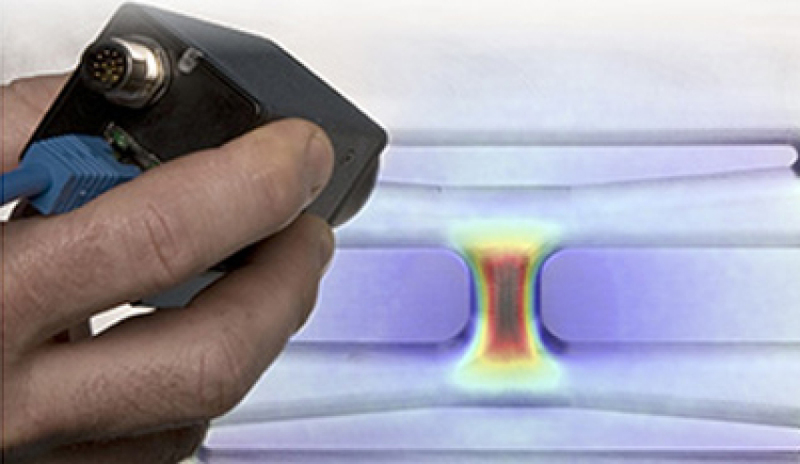 "This system is a significant advance in the stress measurement and diagnosis of airframe performance. "LRM Technologies brings more than 20 years of experience in marketing infrared camera products and systems to the commercialisation of this Defence innovation." The MiTE technology can also be used for detecting manufacturing defects and monitoring fatigue cracks in civil and maritime infrastructure. It has been successfully trialled on full-scale Joint Strike Fighter fatigue tests in the US and UK. The licence agreement was signed by the Chief Defence Scientist Dr Alex Zelinsky and LRM Technologies chairman Ivan Cooper.